Da Michele isn't just your everyday pizzeria. It's the pizzeria, the top of the top that other pizzerias aspire to be. This temple, which is how they refer to the original in Naples, is the birthplace of this universal dish. 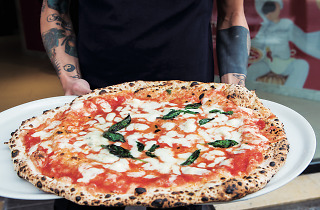 The Condarro family started the long tradition in Naples, where the descendants of Don Salvatore have kept up the art of pizza-making following the secrets of creating the dough and cooking the pies. I started off with a double mozzerella, the pride of Da Michele. 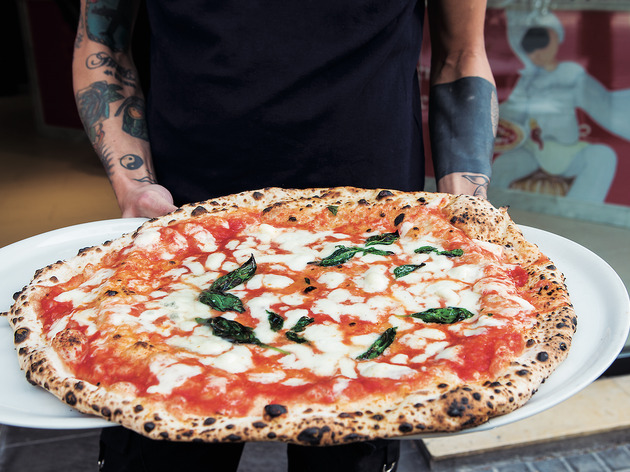 It's the classic Margherita, served in the heart of the Eixample, with tomato sauce that tastes like it came from the Campania region of Italy, and with Fior di latte de Agerola cheese, a product with Protected Designation of Origin status, oregano, pecorino cheese (also PDO) and oils. 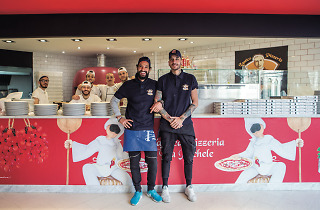 Da Michele doesn't boast a long list of pizzas, but they feature those that have been the most successful since 1870 and bear the names of the family's ancestors: Don Luigi, Donna Carmela and Don Michele. Each pizza is big enough to share among two or three, though when you take your first bite, you'll find it hard to stop. 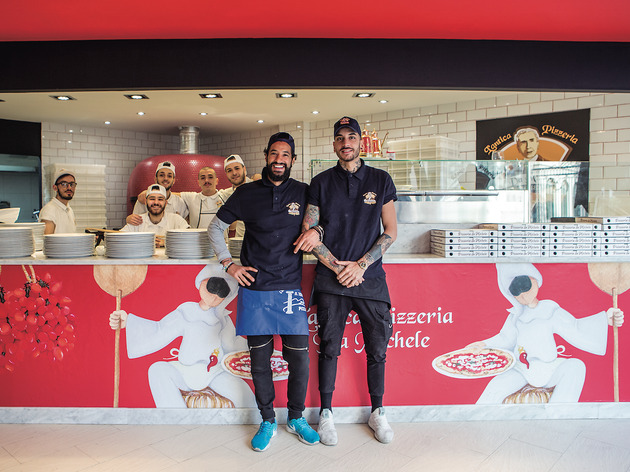 'All the ingredients come from the south of Italy and are DO products, and we also have fried pizza', which is another Neapolitan speciality, as a Don Michele's Dino Marciano explains.